The role of the Warehouse Representative is to support the Warehouse-Facilities Manager in continuous improvement regarding the timely completion of projects. This position provides superior customer service on RbA products. The Warehouse Representative completes tasks in accordance with company values, and strategic direction from the Warehouse-Facilities Manager. To perform this job successfully, an individual must be able to perform each essential duty satisfactorily. The requirements listed below are representative of the knowledge, skill, character and/or ability required. Demonstrated interpersonal communication skills; strong listening and empathy skills. Since 1903, the Andersen Corporation has remained the gold standard for home window replacement. 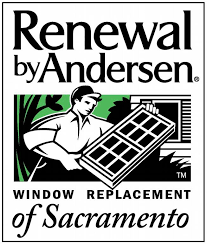 As the exclusive home window replacement division of Andersen Corporation, Renewal by Andersen understands that window and door replacement is no small decision for any homeowner.